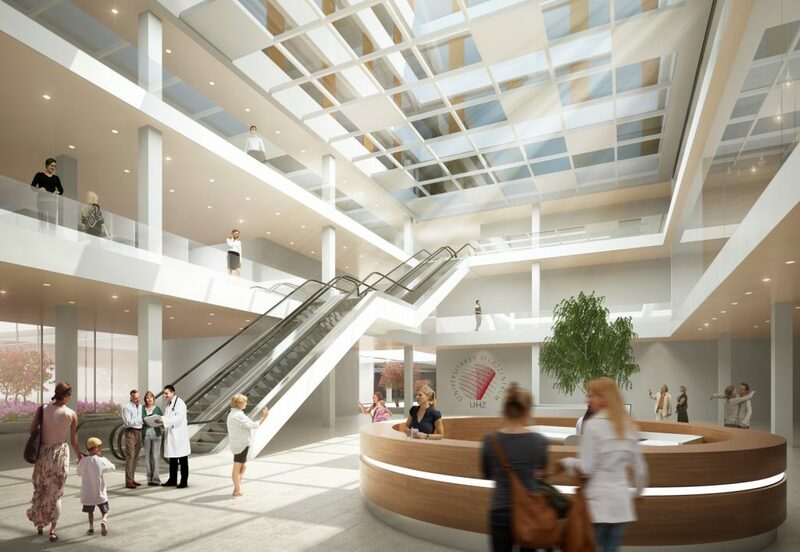 The University Heart Center (UHZ) is a significant building block in the University Medical Center Hamburg-Eppendorf (UKE) development plan and an innovative building that will do justice to UHZ’s Europe-wide pioneering role in the field of diagnosis and treatment of cardiovascular disease. 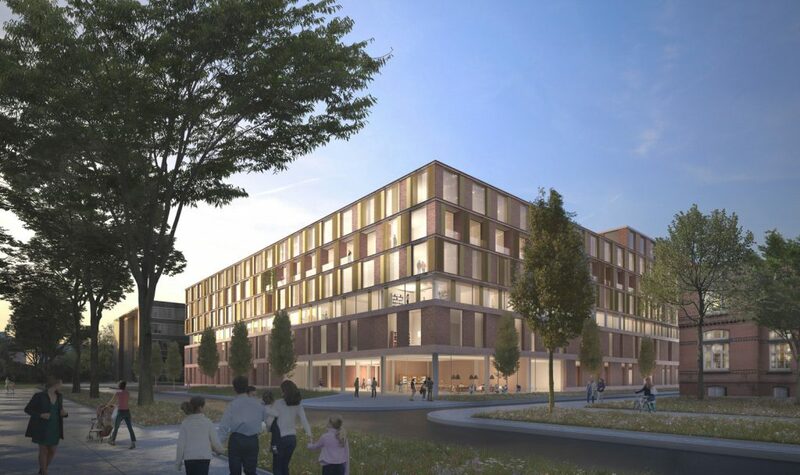 Consistent with its outstanding technical importance and space-defining presence on the new, green UKE campus boulevard, the UHZ presents a confident, identity-defining image with its red brick façade and bronze-coloured window elements. The differentiated, staggered heights of the new building promote harmonious integration into the surrounding development. To give the building a setting, alignments and sight axes of surrounding existing structures shape the cubature of this compact, five and six-storey building. A glazed joint in the second floor area visually divides the volume into a two-storey plinth section and a three and four-storey patient building that corresponds to the height of the research campus situated to the north. The heart of the UHZ forms a central plaza that will become the building’s interdisciplinary meeting place and communicative centre. The UHZ’s clinics and nursing stations develop from this social focal point. Four landscaped and individually designed interior courtyards subdivide the building and give its users an opportunity for identification and orientation.